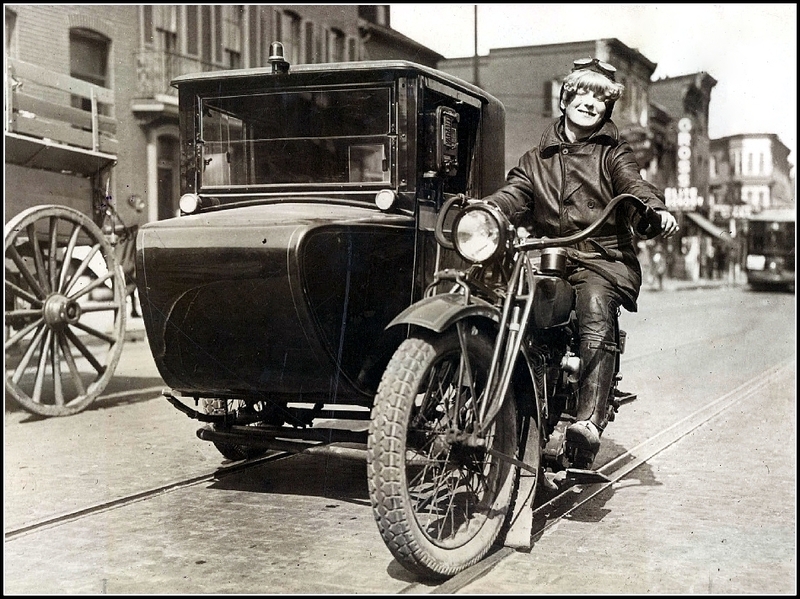 Miss Lillian Lubinsk at the helm of one of the “new” motorcycle taxi cabs of Baltimore in 1926. Apparently these alleviated traffic problems and yet they’re quite large. Still, a covered sidecar is a novel concept, especially for the time. wow, her bangs are wild! !